Happy Sunday! I hope that your weekend is going well. Today is the next installment in our decluttering series. Have you been following along on the journey to finding what possessions bring you joy? In case this is your first time here, each Sunday I'm joining some of my blogging friends in posting about my views about how to gain control over your clutter. Many of us are focusing on things that we learned from The Life Changing Magic of Tidying Up by Marie Kondo. Links to everyone participating appear at the end of this post. Now that we have covered decluttering our clothes, accessories, and makeup, the next category is books. I must admit that having too many books is not a problem for me. There are very few books I've read that I keep to read again. And unfortunately since starting this blog, I don't take the time to read much at all anymore. I'd really love to know if having to many books (read or unread) is a problem for you. In her book, Marie stresses that it is important to be able to actually touch each book in this process. While it seems easier to just remove the books that you don't want from your shelves, it doesn't work. 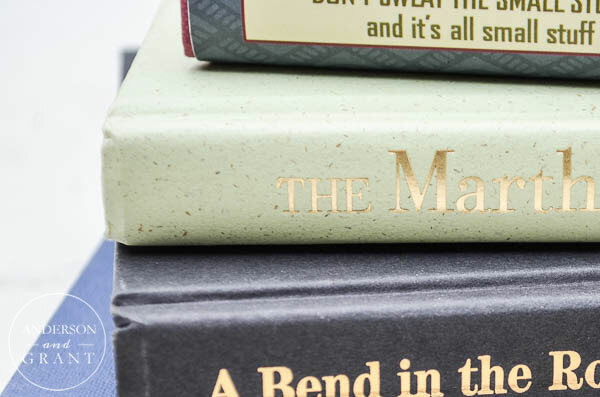 There are books that become "invisible" after having been on the shelves for a long time. You must physically hold the book to know whether or not it sparks joy. While I don't have a large collection of books, about a third of them have never been read. The book mentions that the best time to read a book is when it is first purchased, and that is probably very correct. That is when you are excited about it. The longer it sits on a shelf, the more the excitement wanes (which is probably true for most things you buy). Those books are most likely the hardest to get rid of. Unread books are like unworn clothes. They were bought for a purpose. You evidently wanted them at one time. And yet they sit unused. According to Marie, those unread books have served their purpose. If you've let them sit for a long time, they were probably not bought to actually be read. Maybe you bought it because you were interested in the topic at the time, but not any more. Or maybe it was a book that was "trendy" and being read by everyone. You wanted to read it, too, even though it wasn't your type of book. Or perhaps it was purchased just to eventually pass on to someone else. You must decide what you will do with those books that were purchased but haven't been opened. Are you ever going to be interested in reading it, or has it already served it's purpose? 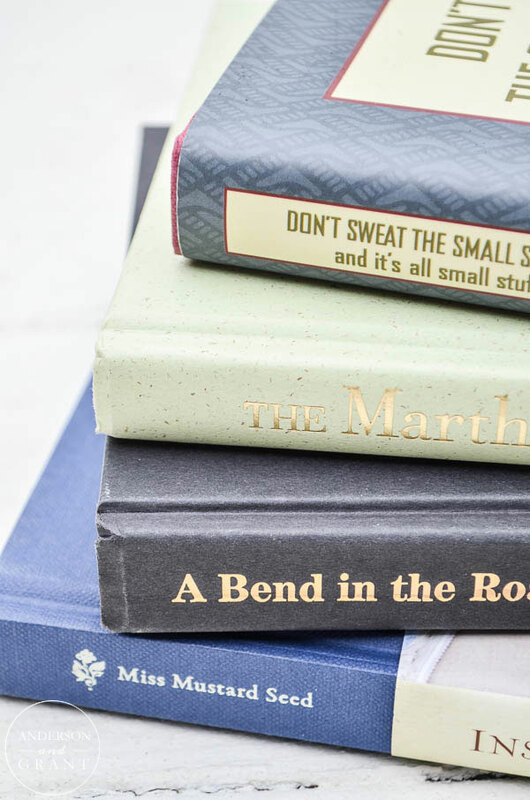 Are those books just taking up space on your shelf, reminding you of something you need to do? When sorting through the ones that I hadn't read yet, I decided to keep a small pile that I was still interested in and will make an effort to get them read. Be honest with yourself when it comes to deciding whether a book that you have read should be kept as well. What is the chances that you'll read it again? And if you must keep it, then why is it so important? We live in an age where buying books or reading them online is easy. Your library may even have it available. Is it that important that you keep a copy at your house? So what do you do with the books that you are willing to part with? There are always thrift stores to donate them to, but I like to actually place my books into the hands of someone who can use them. Many libraries have used books sales to raise money for new books (and I've even seen some donated books in perfect condition be kept for library use.) Classroom teachers may be able to use children's books in their classrooms. Some churches keep a stocked library of religious books for their church members. Or maybe you have to look no further than a friend or family member that would enjoy the same reading material as you. It is easier to part with books when you know that you are passing them on for someone else's enjoyment. As for magazines (and catalogs), I think they are also best enjoyed when they first come in. I mean, do you really enjoy reading about decorating your house with pumpkins when you are taking down your Christmas decorations? Magazines are seasonal and published according to when you can use the information. If you save magazines after they've been read, how many times have you actually gone back and referenced the information in them? If you do keep back issues of magazines, you need to come up with a system for keeping the number under control. Maybe you keep the last three issues of each one, or maybe an entire year. The important part is that eventually you have to part with some before the number you have becomes overwhelming. I hope today's post gave you a little inspiration for looking through the reading material that you have stored at your home. Next week our posts will focus on dealing with technology clutter. In case you haven't read it yet, the book can be ordered here from Amazon or at most other book retailers. 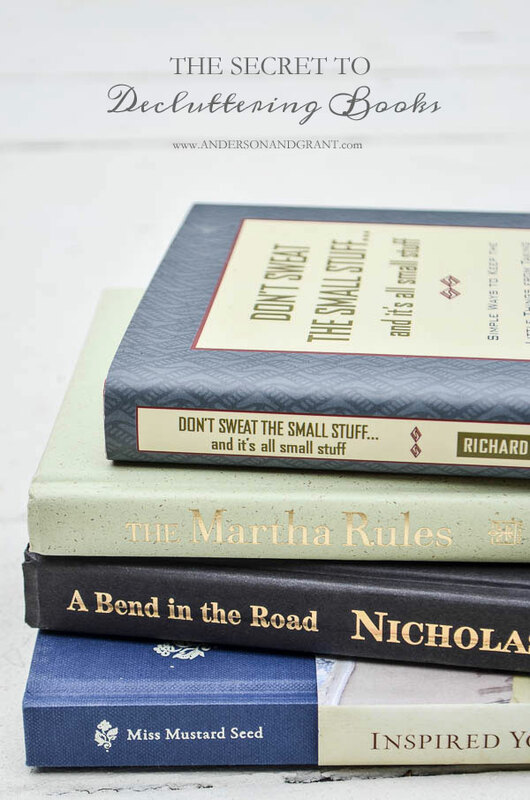 Be sure to check out everyone's links this weeks for lots of inspiration for decluttering your books!